Signs vs. decals: what to use? 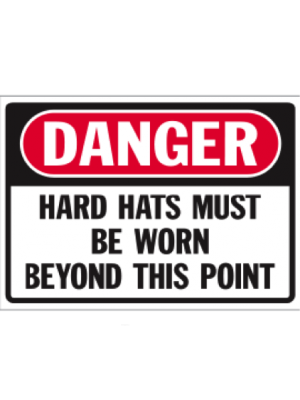 Sometimes it may not be clear whether a sign or a decal is needed. Costs vs. longevity – decals are less expensive but new signs may prove to be more beneficial and cost-effective in the long run. 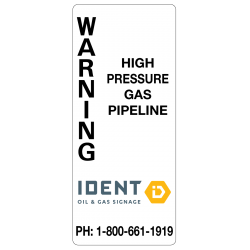 Installation time – Installing a decal properly is crucial. If installed incorrectly, it could alter the rest of the sign’s content. Application of a decal is best on a flat, clean, and smooth surface and applied above 5°C. It takes around 10 minutes to apply a decal on a sign; if applying two or more, time increases to ensure decals are straight. With signs, you simply remove the old one and install the new sign. No fussing with alignment or worry about changing the context of the content. What does the hardware set include? Hardware will fit regular or heavy duty posts. What is the proper way to install hardware and spacers? 1. Insert the bolt through the front of the sign. 2. Place the spacer onto the bolt that is protruding from the back of the sign. 3. Place the sign against the open side of u-channel post aligning the bolts with the appropriate holes for desired position. 4. Then place the flat washer onto the bolt, followed by the lock washer then the nut and tighten firmly with tools. How far do posts need to be pounded into the ground? One-third (1/3) of the length of the post must be pounded into the ground. The main consideration is to penetrate beyond the frost line to minimize heaving. How do I choose the right type of post? Regular posts are best used in soft ground, where there are low wind speeds. Heavy duty is built to go into rocky, difficult or frozen ground, or where it's windy. Why would I need a spring assembly? In high winds or areas with livestock, a heavy concrete or steel base can be pulled over. A spring assembly allows for the sign to temporarily be pulled toward the ground but to later spring back into upright position without harming the animal or bending the post. 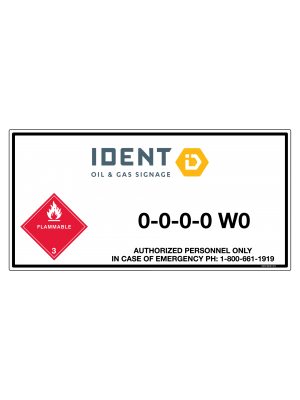 How long can my organization continue to use our existing WHMIS labels before switching to the new Globally Harmonized System? 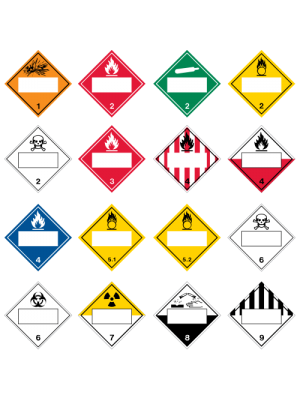 From now until June 1, 2017 suppliers (manufacturers and importers) can use WHMIS 1988 or WHMIS 2015 to classify and communicate the hazards of their products (note that suppliers must use one system or the other). Distributors can continue to use WHMIS 1988 or WHMIS 2015 until June 1, 2018. Where can I find the official government oil & gas regulations? 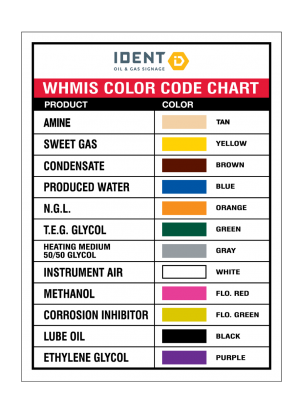 Where can I find further information about WHMIS controlled products and the transition to the Globally Harmonized System? Where can I learn about transportation signage regulations?